Hands up if you forget to exfoliate? I think its safe to say that I always forget unless I know I will be applying fake tan. 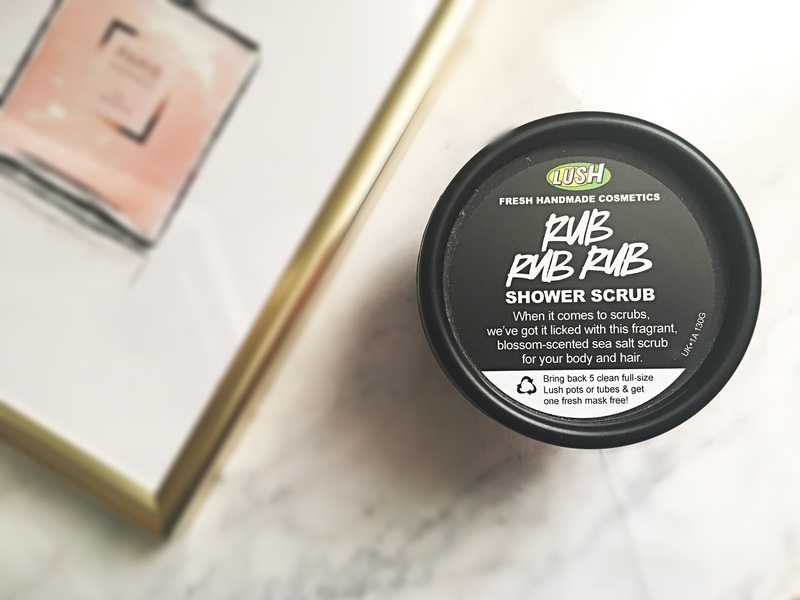 The Lush Rub Rub Rub Shower Scrub has made exfoliating so much easier and enjoyable for me. 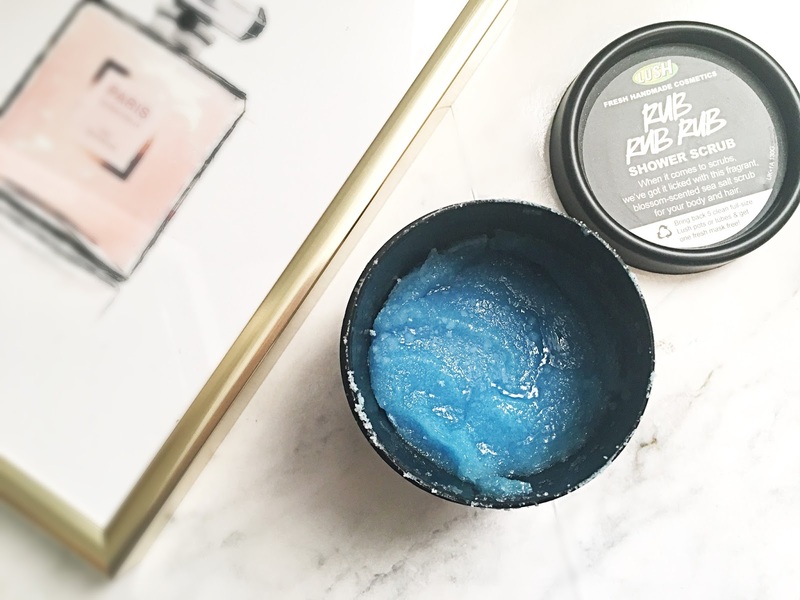 This scrub is a hybrid between a scrub and shower gel which makes it less harsh on sensitive skin yet it still manages to exfoliate. § The scent of this product is not overpowering like some other Lush products which makes it perfect for using regardless of what other products you may use or spray on your skin. The price of this scrub varies on the size you purchase, the 330g pot costs £8.95 and the 665g pot costs £14.95. I will definitely be repurchasing this product when it runs out because whilst the 330g pot looks very small it lasts a very long time as I only use it 1-2 times a week. I have tried this before! I'm a big fan too as it leaves my skin feeling so fresh and soft. This sounds lovely! I'm going to be adding this to my wishlist!